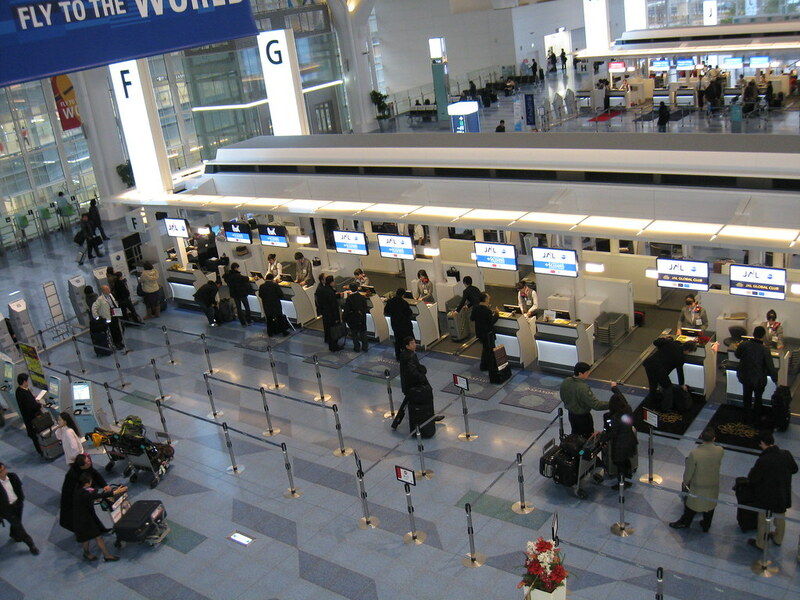 As you can see in the picture above, JAL's check-in counters are located at zones F and G. Check-in counters for business class passengers and oneworld elites are located at zone G while those for economy class passengers are located at zone F. I arrived at the airport at 7:30am and there were decent amount of people (Good business for JAL :D). 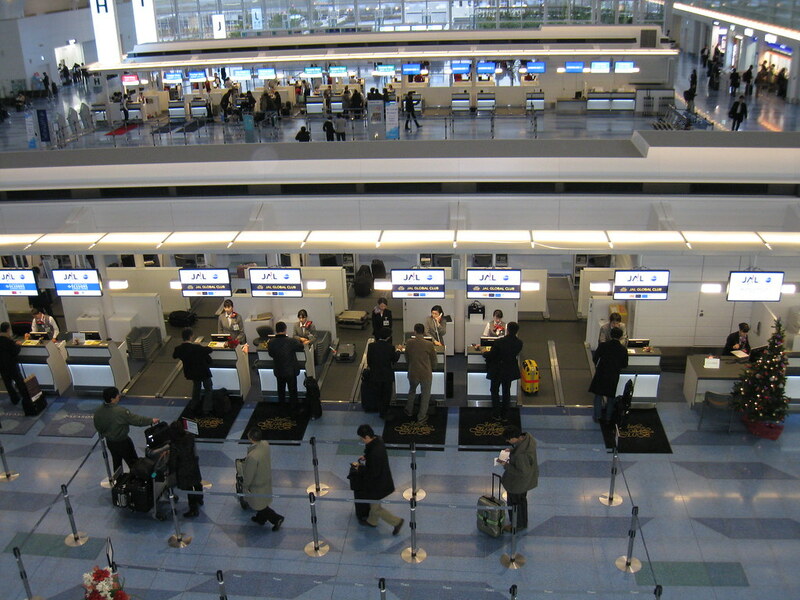 Right next to the JGC counters are the business class check-in counters and the new dedicated baggage drop off counters for passengers already checked in using QuiC service. 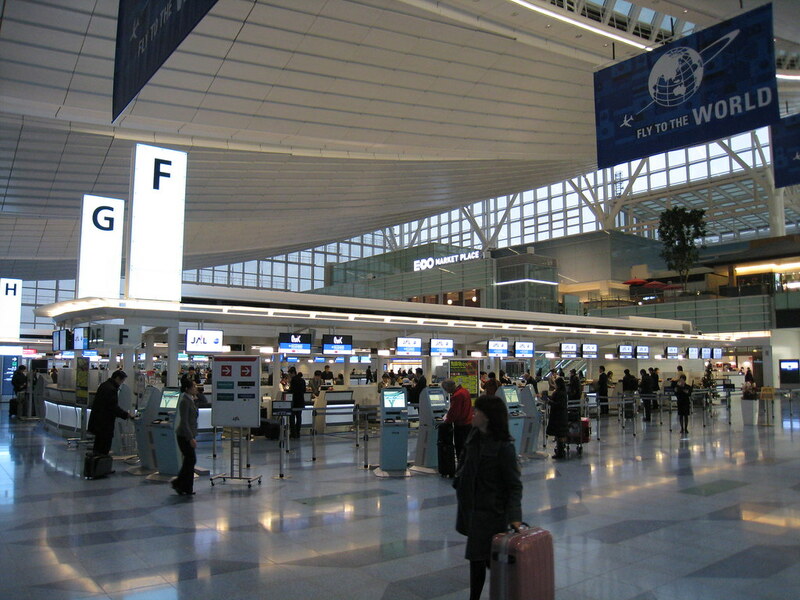 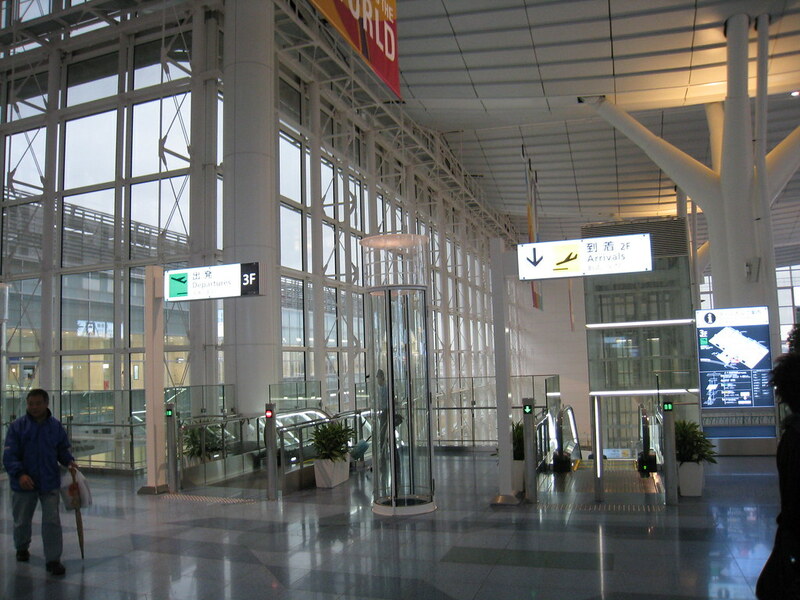 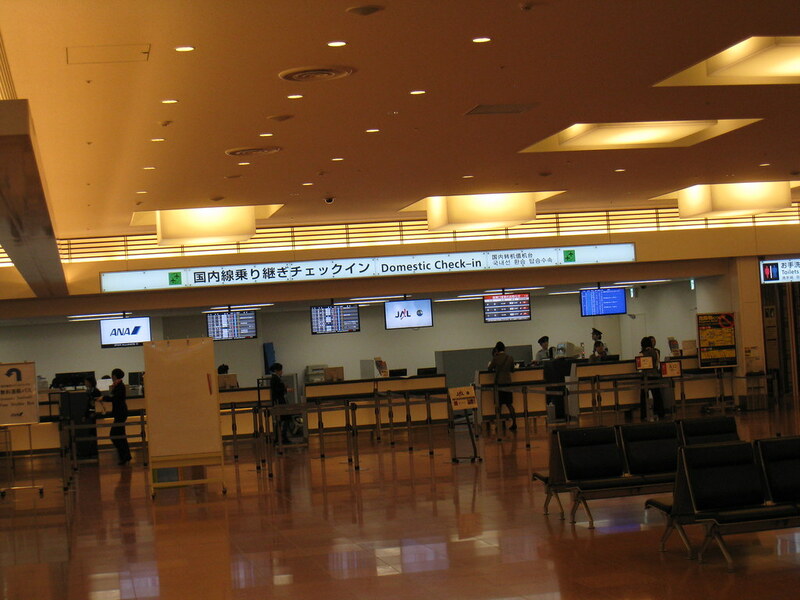 There were 4 business class check-in counters and 2 QuiC baggage drop off counters. 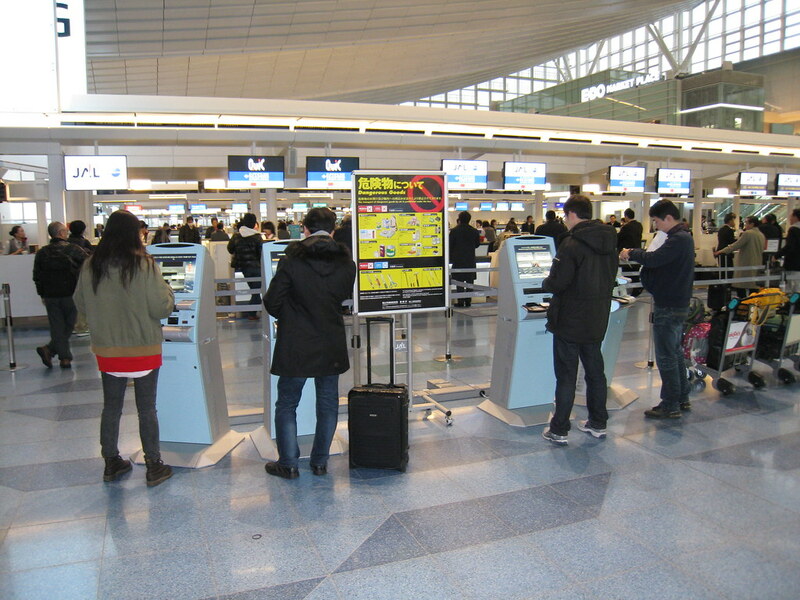 And of course, there were the self check-in machines too. 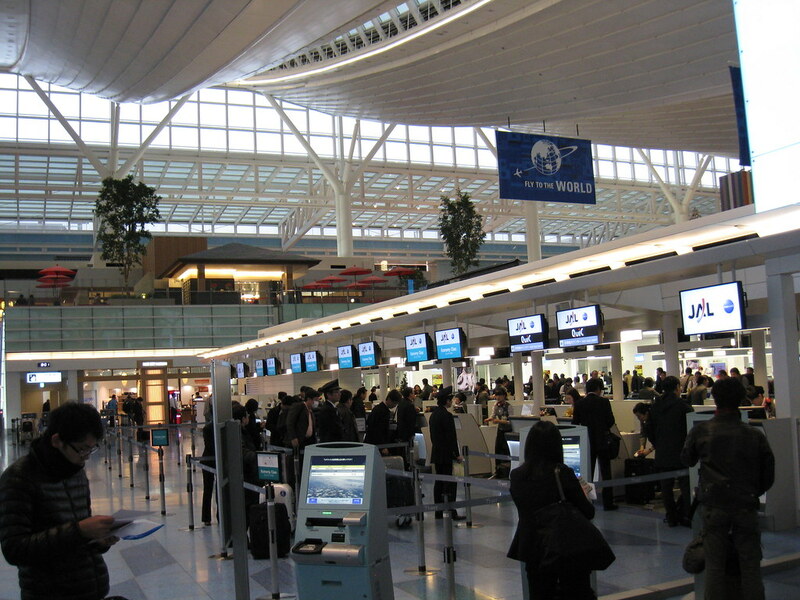 A total of 8 machines for business class passengers and elites. 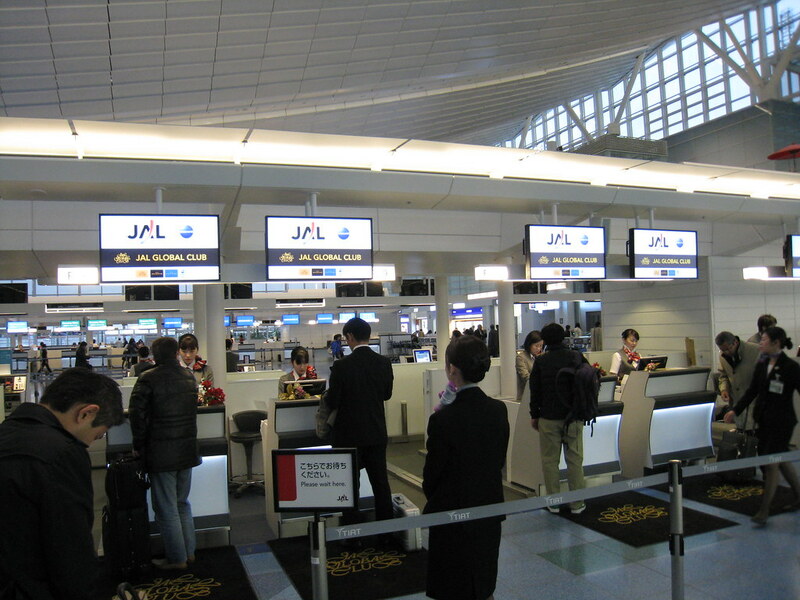 And of course there were plenty of check-in counters for the rest of the passengers (which are the majority of them, hey this is not AA LOL). 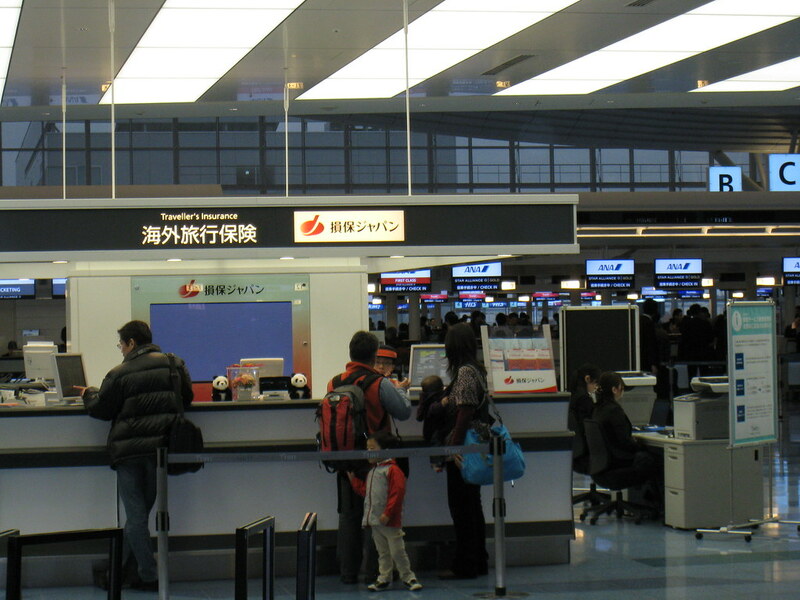 But there were also only 2 bags drop off counters for QuiC passengers and 3 (could be 4) self-check-in counters for economy passengers.